I think that they are one of the best places to start if you are new to meditation or find yourself struggling with other types of meditations. A mantra is a Sanskrit word that can be broken down to “man” meaning mind and “tra” meaning free from. Thus, they are used to free your mind. The mantra allows your conscious mind to relax and let go, allowing it to work its magic! Another amazing thing about doing this type of meditation is that you don’t have to say them out loud if you don’t want to you. They will be just as powerful when you say them silently to yourself. Mantras are typically chanted 108 times. Since keeping track of chanting 108 times is not the easiest thing to do. I like to use a mala and I highly suggest you do the same. Not only are mala’s useful for mantra meditation but they are beautiful and can be made with all different kinds of stones depending on what stones resonate with you or intentions you have. My beautiful friend Tatiana makes mala’s with love and intention by hand. If you are looking to get a mala you can check out her store here. She even makes custom mala’s if that is what you are looking for, all you have to do is send her a message! By chanting the mantra 108 times we align ourselves with its vibration and that vibration in the universe, calling the essence of it into our lives. Sanskrit mantras are known to create lasting effects and deep healing. And there are so many incredible mantras to choose from! You can find ones that will help you in any area of your life. This translates to “I am Divine Love” making this a great mantra for anyone who is working on cultivating self-love. It also aligns and connects us to all of the love in the universe. It helps to calm your mind, body, and soul. It is also a great way to de-stress. Start your day with this and come back to it anytime that you are feeling in need of love and connection. This mantra translates to “Abundant Energy Great Lakshmi I bow to you” It is chanted to Lakshmi the goddess of prosperity and wealth. You can use this to call abundance and prosperity into your life, and even an abundance of love. This mantra translates to “salutations to the remover of obstacles” and is chanted to Ganesha the remover of obstacles. Chanting this is said to remove obstacles from your path, negativity, and fears. It can also be used when you are starting something new and wanting a clear path. It is also a great one to start your day off with. This is known as the Gayatri Mantra and is one of the most powerful mantras in the world. It translates to “We meditate on that most adored Supreme Lord, the creator, whose divine light illumines all realms (physical, mental and spiritual). May this divine light illumine our intellect.” It first appeared in the Rig Veda one of the earliest Vedic Texts. This mantra is asking for enlightenment and expressing gratitude for the life-giving energy of the Divine. This mantra translates to “May all beings be happy and free, and may the thoughts, words, and actions of my own life contribute in some way to that happiness and freedom for all” This mantra is a reminder that we are connected to everything around us. That our thoughts, actions, energy, and choices impact the world around us. The more positive, compassionate and kind we can be the more we will create that energy in the world and receive in return. Thank you for these mantras! I started meditating recently and I feel this will help me get deeper in trance & calm my mind quicker, thank you for this post! Dayma that is so wonderful!!! I am excited to hear how you like them once you have tried them. 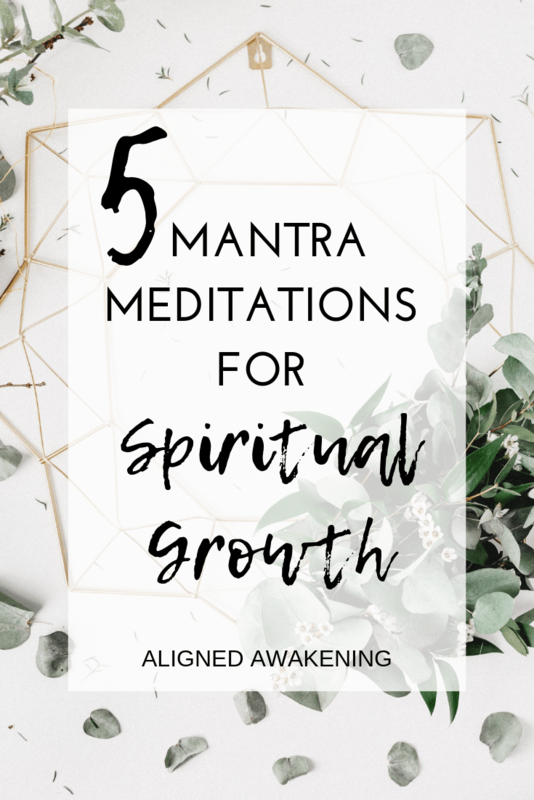 I am a huge fan of mantras I use them on a daily basis and they were the best type of meditation for me when I started my meditation practice. 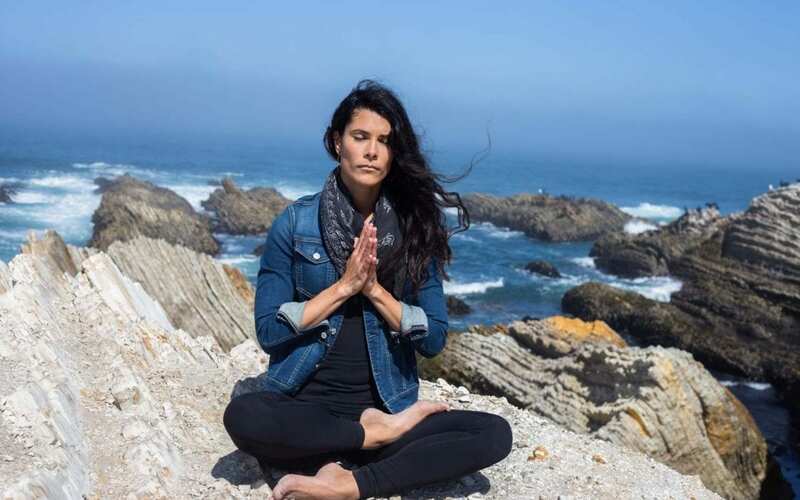 I love how they connect you to the vibration of the mantra and really bring the essence of the mantra into your life and your day! Great post! I have really gotten into meditation in recent years. I got started with mantras that intend to instill compassion. From then, I was hooked. But I had no idea about the different types of mantras or malas until reading your post. Thank you. Hi Roger! That is so amazing thank you for sharing your story. I love that you started with mantras for compassion that is amazing. Compassion is such an important mindset to cultivate. I love mantras so much. I have been using them for the last 7 years and I am always finding new ones that I love and resonate with. So happy I could share some of my favorites with you. This is great! I have heard of mantras but have never used them. I might just add this to my meditation. Thank you so much Suzanne! I hope that you enjoy them as much as I have. Would love to know what you think after you try them out. I loved reading this blog post. I meditate daily and will be trying these. Thank you for the inspiration. Thank you so much! I am so glad that you are going to try them. I look forward to hearing about your experience! Thank you so much for sharing these! I did not know that mantra translated to “free your mind” but I love that! I think my favorite is Lokah Samastah Sukhino Bhavantu. It’s just so beautiful and powerful! I can’t wait to try to incorporate this into my daily routine.